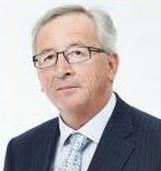 BRUSSELS, Belgium, April 27, 2015 (ENS) – The European Commission said today it will contribute an additional €70 million to complete the return to a safe environment at the former Chernobyl Nuclear Power Plant, site of a catastrophic explosion and meltdown 29 years ago. Occurring on April 26, 1986 when the nuclear power plant was under the jurisdiction of the Soviet Union, the Chernobyl accident stands as the world’s worst in terms of cost and casualties. The explosion and fire released huge quantities of radioactivity into the atmosphere, which spread across much of the western USSR and Europe. The €70 million pledge, announced today at the EU-Ukraine Summit, brings the EU investment in Chernobyl projects to more than €600 million including power generation support, social projects and research. The €70 million will be used to complete the New Safe Confinement now being built to enclose the existing sarcophagus built right after the accident to enclose the damaged Unit 4 reactor. The purpose of the New Safe Confinement is to protect the environment from radiation releases and provide the infrastructure to support deconstruction of the sarcophagus and the remains of the reactor and nuclear waste management operations. 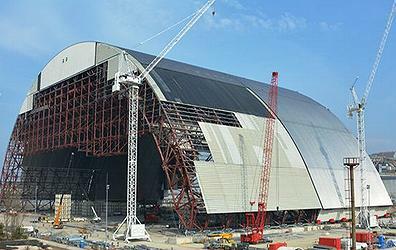 The €1.5 billion New Safe Confinement is being constructed on site by the French-led NOVARKA consortium. By mid- 2017 it is scheduled to be slid on rails over the sarcophagus, which will reach the end of its 30-year lifespan in 2016. The announcement of new funding from the European Union comes ahead of a pledging conference to close the current funding gap of €615 million to complete the Shelter Implementation Plan, the umbrella program of the New Safe Confinement. The conference will take place on April 29 in London and is organized by the current G-7 Presidency held by Germany and the European Bank for Reconstruction and Development, EBRD, which manages the international funds. On top of the European Commission’s contribution, EU Member States have provided around €420 million so far and they are expected to further strengthen their support at the conference. The EBRD will contribute an additional €350 million which will be announced at the upcoming conference. Other major donors include Canada, China, Japan, Russia and the United States. Completion of the New Safe Confinement is expected to bring the site into an environmentally safe condition. With a minimum lifespan of 100 years, it creates the timeframe to develop and implement mitigating strategies for the future treatment of the damaged Unit 4 reactor. The work on reactor 4 is not the only task for the international community in Chernobyl. The three reactors which continued operations after the 1986 accident also need to be decommissioned, the spent fuel and radioactive waste treated and stored safely. For this purpose the international community is financing, through the Nuclear Safety Account, the Interim Storage Facility 2 (ISF2) at a cost above €300 million and the Liquid Waste Treatment Facility (LRTP), which received an operating license at the end of 2014. The ISF2 facility is currently in the final phase of construction and will process, dry and cut more than 20,000 fuel assemblies and place them in metal casks, which will be enclosed in concrete modules on site. The spent fuel will then be stored safely and securely for a minimum period of 100 years.